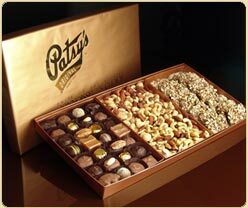 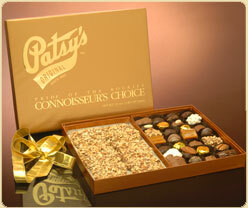 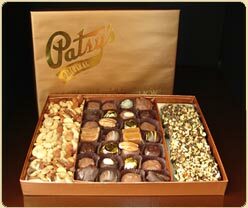 2 pounds of Patsys gourmet Assorted Chocolates. 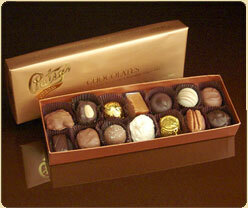 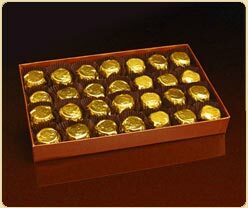 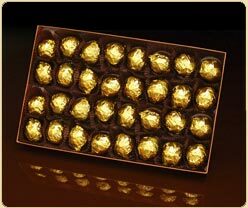 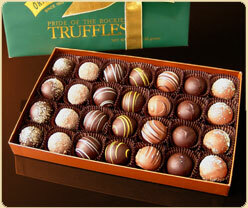 Fine handmade chocolates make the perfect gift and luxurious treat. 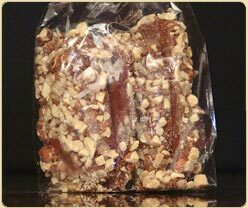 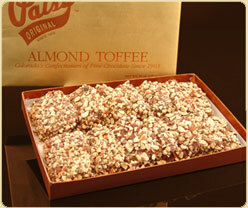 A best seller at Patsy's for generations now, almond toffee available in bulk quantities. 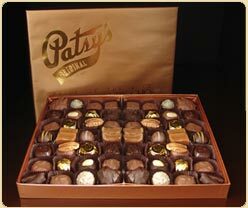 14 oz. 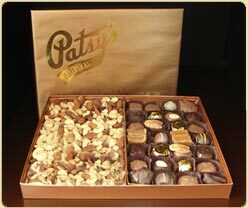 Patsy’s Rosecup Mints gift box of solid chocolate mints.